A Hyaluronic Acid injection (HA) helps lubricate the knee to treat painful cartilage conditions. It involves the injection of hyaluronic acid into the knee over the period of several sessions. Injections are administered in our office once a week, for three weeks. You will typically start to experience effects of the injections within 1-2 weeks after the final injection. The effects of the treatment can last 6 months. After six months have passed, you can repeat the treatment. Hyaluronic acid is: An injectable synthetic version of the fluid that naturally exists in your knee. 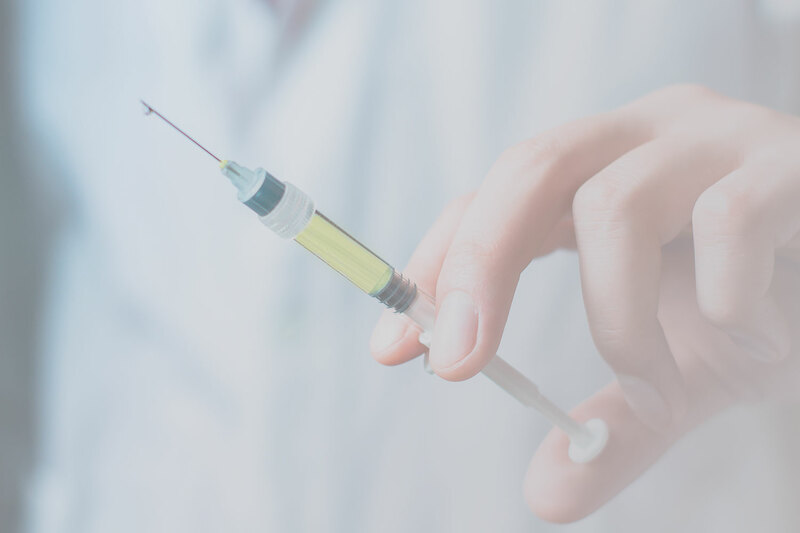 Obtaining HA injections can be a difficult process, and it often takes approximately a month to receive them. Many times these injections require extra effort to be covered by insurance companies. Give consent to the specialty pharmacy for the shipping of your medication. We will contact the patient when injections arrive to schedule appointments. A Platelet Rich Plasma (PRP) injection serves to support and speed up the healing process for soft tissue conditions. It involves first creating PRP from your blood using a centrifuge to spin your blood sample at high speeds and separate the platelets. These platelets are then injected into the inflamed or injured tissue to aide in a quick recovery. Platelet Rich Plasma is: A concentrated plasma mixture of platelets(a small cell fragment) that serve to stimulate the healing and clotting process. Your injection treatment starts with the creation of PRP from your own blood. A blood sample is obtained in the office on the same day as the procedure. Next, a centrifuge is used to separate the platelets from the rest of the cells in your blood sample, resulting in a platelet rich plasma. PRP is then injected to the inflamed or injured tissue using ultrasound guidance to ensure precise placement. After the injection, it is normal to have increased pain in or around the injection site for up to several days. It may take days or weeks for you to start to feel the effects of your injections. Visit the Stem Cells Injections page to learn more.